Hmm I would be interested in reading these design docs...but I presume museums aren't too fond of that sort of viewing. Nice! I certainly wouldnt mind getting a peak of what went on inside his my myself! Hooray! Now I can see how he managed to bugger up a concept like Spore so badly! Oh! 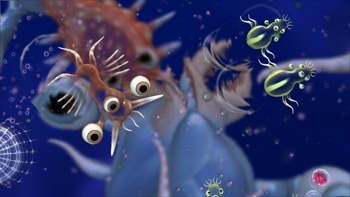 Spore, we can see a classic example of what could have been, but unfortunately wasn't. Although I knew little about it before I got it, Galactic adventures was awsome aswell. I live in Rochester! I was literally *JUST* at that museum. Damn I'm going to have to pay it an early revisit.